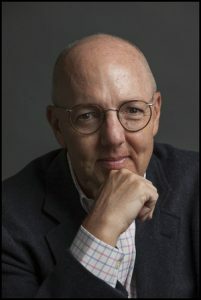 "Writing as a Second Career"
A partner of New York law firm Sullivan & Cromwell, Fred Rich was recognized as “the preeminent project finance lawyer in the world.” And then, in 2014, having reached the peak of his profession, he abruptly announced to his surprised partners and clients that he was switching careers. To banking, perhaps? Politics? No, to be an author. And therein lies a story. His first book, Christian Nation (W.W. Norton, 2013), is a work of speculative fiction that considered the political ambitions of Christian fundamentalism in America, and sounded the alarm that the far-right fringe was poised to break into the mainstream. The novel was called “brilliant” by Richard Dawkins, “well written and persuasive” by the Pittsburgh Post-Gazette, “required reading” by the New York Post, and “riveting, provocative reading” by Booklist. 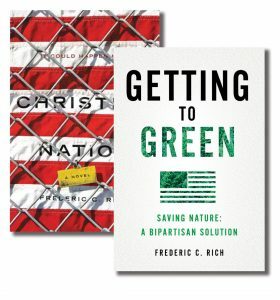 Fred will weave the story of these two books into the narrative of his career path, and also give the Fust Library audience the first public description of his third work, another novel, which deals with genetic editing, the emerging science of “de-extinction,” and the mystery of Neanderthal extinction. Rich studied public and international affairs at Princeton’s Woodrow Wilson School and moral philosophy at King’s College, Cambridge, before receiving his law degree at University of Virginia Law School. He lives in Manhattan and the Hudson Valley.